Today’s new bottle is Ferdgnand’s saar 5th anniversary, from Germany. The botanicals of this gin are red vinyard peach, lemon verbena and organic harb. It would be the best at straight. There are only 3000 bottles in the world, and approximately only 300 bottles imported into Japan. 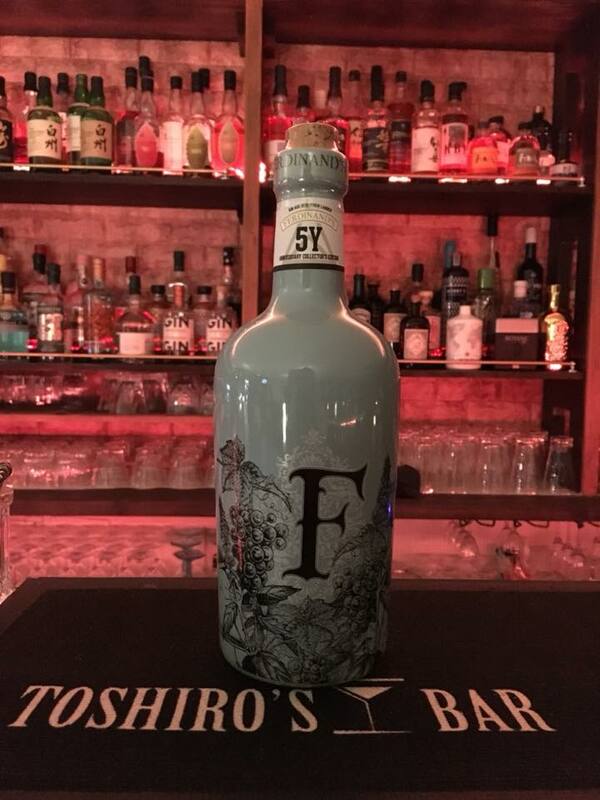 Previous Previous post: Are you curious what TOSHIRO’S BAR feel like? See the video and feel it! Next Next post: For beer lovers, TOSHIRO’S BAR has KIRIN ICHIBAN and YONA YONA Ale on tap.